The task of cleaning carpets might be monotonous and tiring but produces wonderful results. 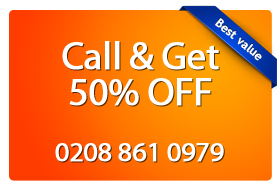 People in Stoke Newington N16 can take advantage of our expert carpet cleaning services offered at a real bargain price. We offer both steam & dry carpet cleaning as well as expert stain removal services delivered by a team of seasoned professional cleaners – certified. Magic Carpet Cleaning in Stoke Newington N16 offers broad range of cleaning services for both domestic and commercial properties at some of the most affordable rates in town. Get in touch with us now and book a service by calling us on 0208 861 0979 or simply fill the form below. The carpet stains can be due to mud or soil or due to spilling of beverages as mostly seen in homes and offices. These unclean carpets can be treated with proper chemicals and the vacuum cleaning with more powerful steam cleaning techniques can free the carpets from dust completely. Upholstery cleaning can be highly beneficial and add to the aesthetic sense of carpets which have lost their charms over years of use. Magic Carpet Cleaning in Stoke Newington N16 will ensure clean carpets with no residue on the fibers.